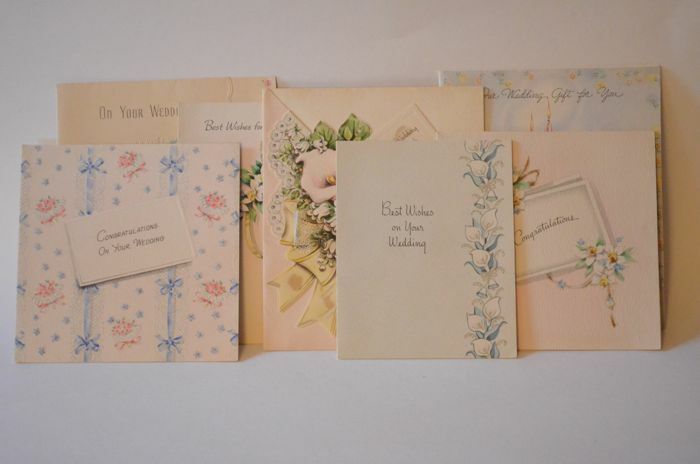 A few weeks ago, I was digging through old boxes in my parents’ basement, and I came across dozens of cards that were sent to my grandfather and grandmother to congratulate them on their wedding in 1946. 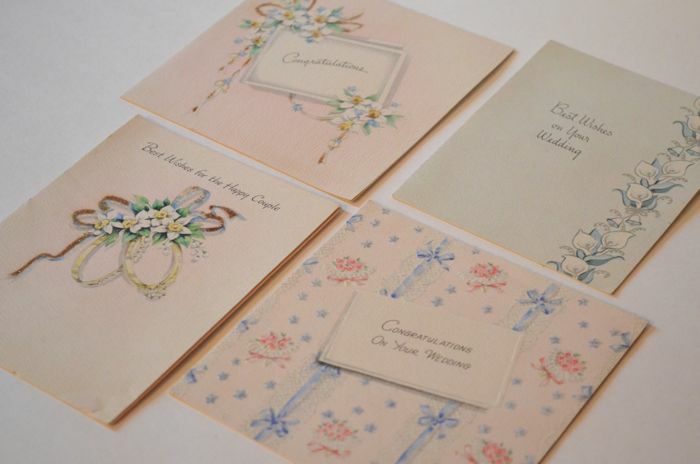 The cards’ small size and delicate design are swoon worthy, and the old Hallmark logo on the backs of the cards is charming. Each card is a little dash of happiness.